"The golden age" seems a bit too much as a summary of this era? I haven't found any evidence that these years indeed are called this way, but I personally think that in that time, many landmark RPGs have been released that still influence the genre in one way or another. In this era, lots and lots of games are widely acknowledged of being ageless. However, I tried to find out what the most ageless of these games were and present them to you. Of course, if you'd like to expand this list, write me a notice. Just contact me here. You may notice that not many games of the early Play Station / Saturn era that are in 3D are listed here (or will be). That's because I think the graphics of that era look chunky and are difficult to look at nowadays. This was the first time that Capcom tried to step into the genre of classical japanese role playing games. They did a good job, but they also got the help of Squaresoft to develop and later on localize the game in North America. It's a basic game that does many things right. The story is interesting and well executed and told, the text is good to read, the graphics with their fancy battle screens above average and the soundtrack has lots of variety. You are a dragonborn (no, not Skyrim here) and have the ability to transform into a dragon, which helps to loosen up the turn based battles. It's also nice to know the HP of an enemie once you beat them once. Battles and boss battles can be hard. If the game is a tad too hard for you, you can choose to play the GBA remake of 2001 which rewards you with more EXP per battle, which makes leveling up easier. 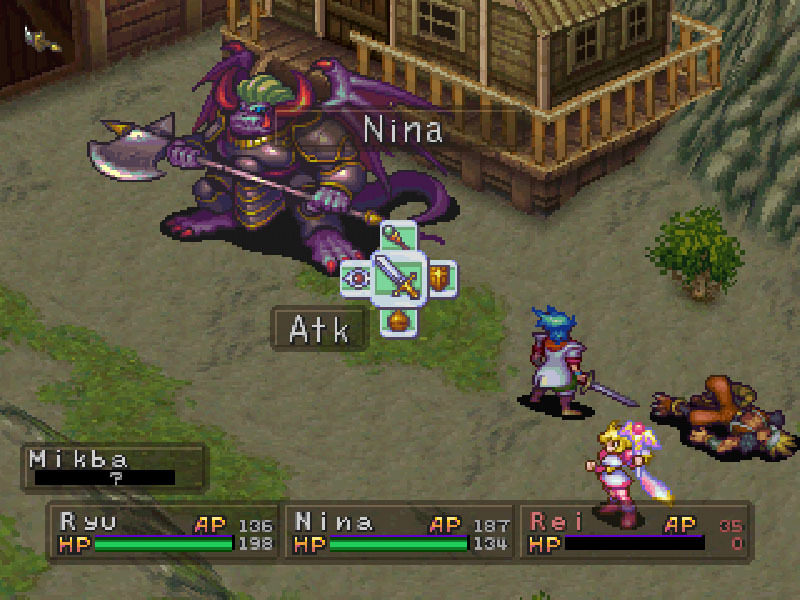 Breath of Fire II is a typical sequel of the "More of the same, but better" formular. It does (almost) everything better than its predecessor while keeping up (most) of the qualities said game had. You still have turn based battles, towns, (lengthy) dungeons and a big overworld to explore. In this game, you can also manage your own town and go find some residents for it. Graphics are a bit nicer than before, sprites a bit bigger. The soundtrack has some good melodies you can enjoy, the story itself has some touching moments and the battles are many, but fair and fast paced. It's an overall nice game you can enjoy with the same advantages and disadvantages you had in 1995. This game was well received in media and by gamers, but it has some drawbacks. The biggest one is the translation - where Squaresoft helped Capcom with the first game and made a really good translation, here you seem to have a translation made by an eight grader in Japan who only knows a little english. Names are inconsistent, the language is simple and there are mistakes everywhere. But aside of that, it's still a pretty enjoyable game. Again, if you find the SNES version too hard, try the GBA version - it's easier. This game barely fits into this list since it was released at the end of the year this era belongs to. In fact, I personally played it during the holiday season of said year. And I really liked it. The 32 Bit era had some issues with 3D games. Textures often were pixelated, 3D models very simple. 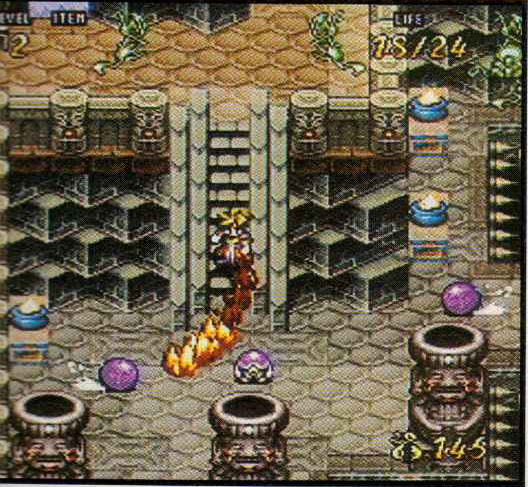 Breath of Fire III compensated the disadvantages of the technology by using 3D only in backgrounds and sprites for characters and monsters. The sprites were really nicely done (albeit a bit distorted if you ask me) and the games visuals were set to mimic an isometric look, which also helped the developers to improve the visuals since they didn't have to render too many objects at the same time. The result is pleasing, the game looks nice, it has a great soundtrack (that has been critizised by some for being a tad too jazzy), the story is epic and the battle system remains close to its predecessors. Some gameplay aspects are two-sided coins, though. To lighten up the gameplay, Capcom decided to include lots of mini games. I personally didn't like them too much. But again, there's fishing, which is fun. You can play this game on the PS1, PSP or PS3. But don't play the German version if you're German. The translation is awful. 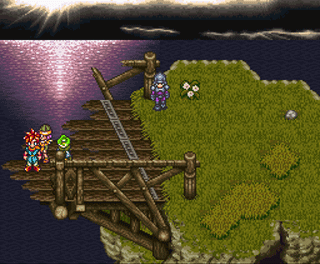 Chrono Trigger is one of the greatest RPG that has ever been released on the SNES. It is shorter than Final Fantasy VI for instance, but it offers a way bigger audiovisual pleasure than the aforementioned game. The soundtrack, composed by Nobuo Uematsu and Yasunori Mitsuda, still sounds great today. Enemies have some great animations, effects are impressive. In fact, Chrono Trigger was that much of an impact for gamers that it widely affected the development of newer games such as Evoland II or I am Setsuna. It's also very enjoyable from the storytelling point of view and feels overall much more a modern game than other RPGs of that era. 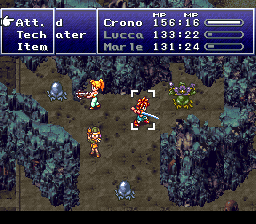 If you're in for a retro game that does not feel retro at all and could also be a modern indy game, you can always pick up Chrono Trigger. It has gotten a nice DS version. 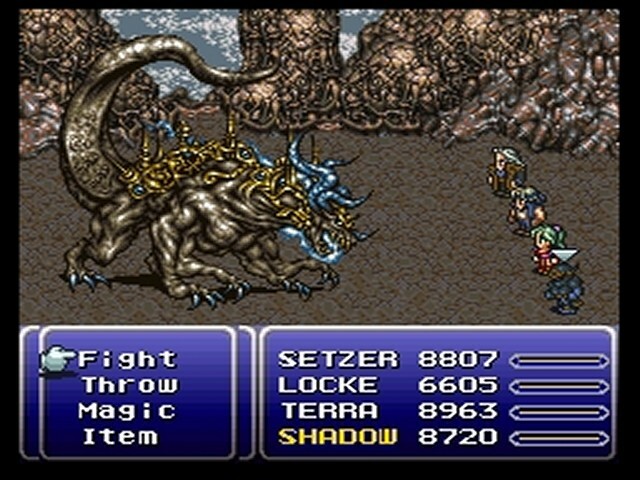 This part is the pinnacle of the Final Fantasies before the series took a turn to 3D and pre-rendered backgrounds. In comparison to the latter, however, Final Fantasy VI aged incredibly well. Sprites and backgrounds look ageless, the story is mature and well told, the soundtrack is great both in composition and sound quality and the game itself is still very playable. It's overall the same pleasing experience today as it was for the gamers back in 1994.. The enemies lack animation, though. And the sprites could be bigger. 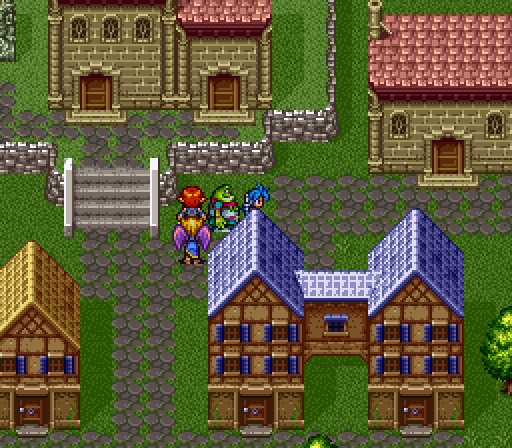 So the game does not really take advantage of everything the SNES had to offer, but it's good enough to really get the feeling of the world you're in. You can also read our review here. 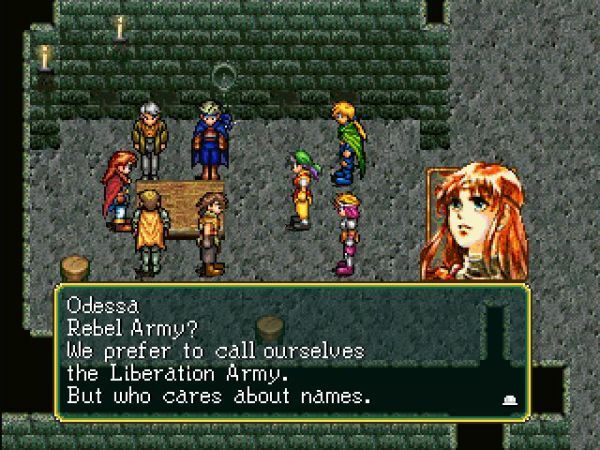 I would recommend picking the GBA version if you can find it, it has a better translation. 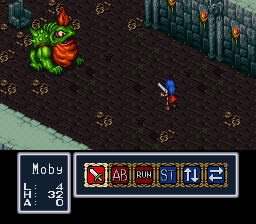 Phantasy Star I and II on this list, so let's continue with IV and forget that there ever was "Generations of doom". 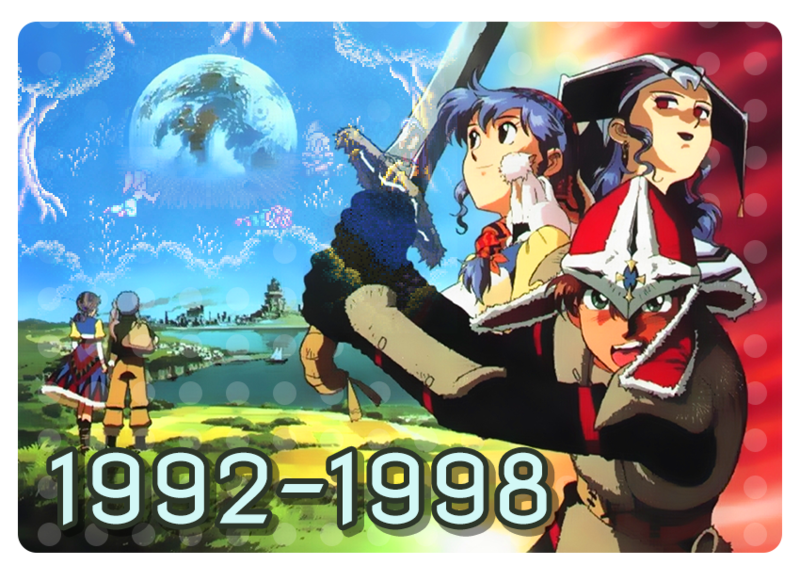 This one, the end of the millennium, closes the story arch first started with Phantasy Star and has many hommages to the first two games of the series. 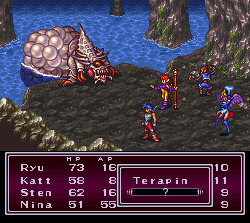 Phantasy Star IV finally combines the good aspects of the first two games. It has battle backgrounds and modern, turn based gameplay. The graphics are nice and the story is told in nicely drawn pictures. Soundtrack is good, the composition is great, but the soundchip sounds very Mega-Drivey and has a touch of some European games. You have lots to see in this story that will let you travel three planets, fight countless enemies, travel through hard and long dungeons and meet some interesting people. This is an interesting game that keeps you entertained for hours. You will also require hours to master the completely illogical names of spells and items. This is one of the drawbacks of the game. 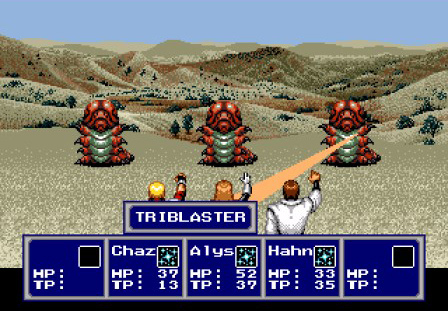 Phantasy Star IV is included in many Mega Drive / Genesis collections and Plug & Play consoles. It's cheap and nice to play. A game that was released very early in this era. 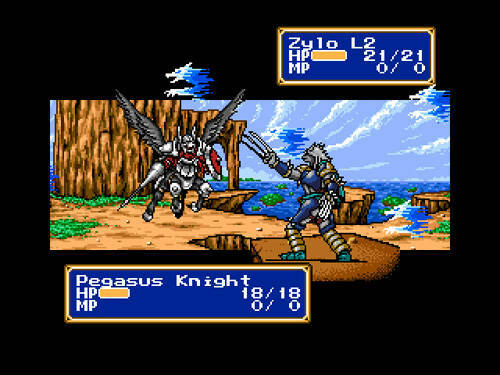 However, Shining Force somehow manages to be not only completely playable even nowadays, but it also remains a certain charme that stops it from aging. 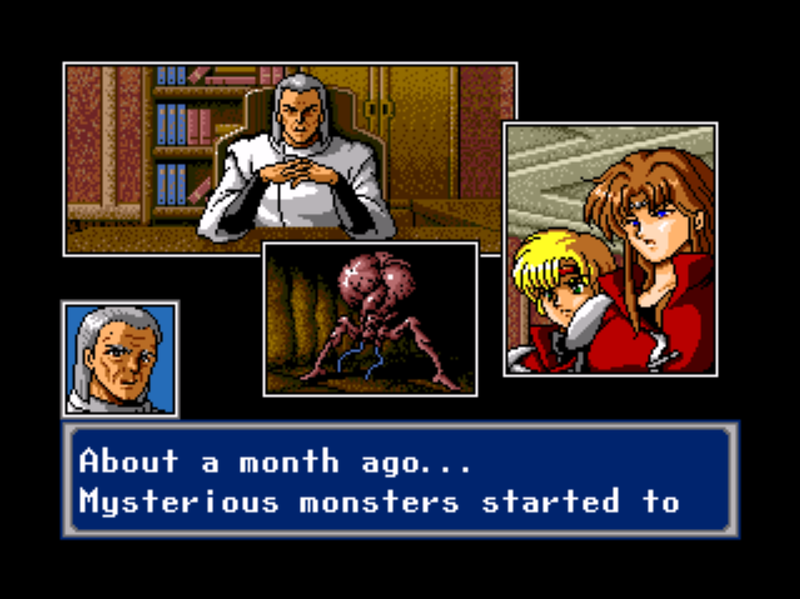 The graphics are simple, but the nice manga style character portraits, bright colors and the decision of the developers to refrain from dithering gives the game the look of a comic book or a cartoon. Along with the impressive battle scenes, the game looks visually pleasing even today. The soundtrack has its own set of instruments and doesn't sound like the typical Mega Drive / Genesis game. Melodies are nice to listen to, as well. The story, on the other hand, is a bit bland, full of cliché and badly told. Events seem to happen very suddenly, and it is often enough unclear why baddies exactly do this or that. The earliest PlayStation game in this list. 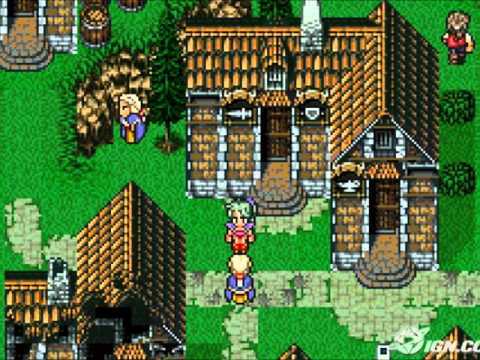 Released in 1995 in Japan and 1997 in Europe (just half a year prior to Final Fantasy VII), this game is not only from a time point of view closer to the 16 bit games but also looks a lot like it. 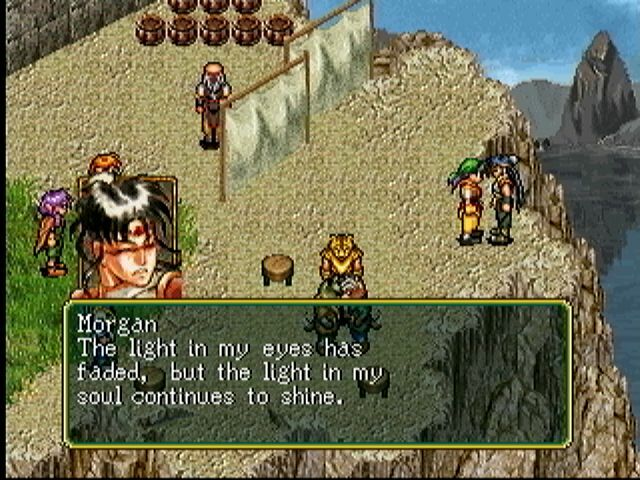 Suikoden has very simple 2D graphics that do not at all show the power of the new games. Except in the battles, where there is a lot of zooming (Tidbit: Zooming in means critical attack, zooming out means weak attack), colors and animation do barely show Super Nintendo standard. However, it looks nice and still has the same feeling as when it was released. Plus, the developers really added some atmosphere to the visuals. Soundwise, it's great. The compositions from the great Konami Khukeia Club are great and the sound quality is also absolutely astonishing. Many of the melodies have made their way into the game soundtrack halls of fame. The story is intense and really touching, the game gives you lots of different things to do and you can recruit up to 108 characters in your very own castle! It's a classic and really enjoyable. You can download it for little money for the PlayStation 3 on the PlayStation network. A game that came out so late in the lifecycle of the SNES, that it wasn't even released in North America. The N64 was already out there when Terranigma was launched, but in Europe, the new console was still going to be relesed. So as a potential Christmas Hit, Nintendo localized Enix' Terranigma, the third installment of the Soul Blazer series. Terranigma uses pre rendered images in some cutscenes, has impressive sprite art and effects, tons of animations on characters, enemies and even just decorative objects. The story is one of a kind and it will make you think about it for some time. The soundtrack is still very enjoyable and I listen to it sometimes on my phone or other music players. The game does not even feel outdated at all. Only some sprites look a bit deformed. It's not the japanese super deformed thing, on the contrary. The heads seem to look a bit flat to me. 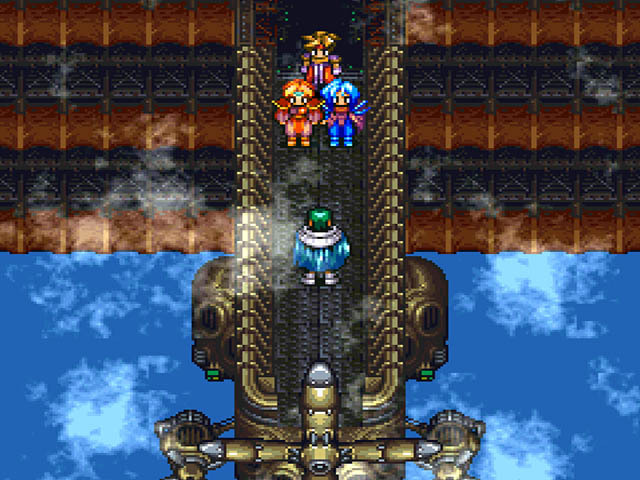 Terranigma is a nice action RPG with some Sim Cityesque moments when you can help cities evolve. Back to the era selection.